Susan Jean Swanson passed away on October 22nd at her home in Inner Southeast Portland alongside her loving husband and primary caregiver, Richard Swanson. She had been suffering the effects of ALS and dementia (FTD). Sue was born in Columbus, Ohio, on February 13, 1947, to Dr. Thomas & Jean Clark, and she had four siblings. She graduated from Ohio's Worthington High School, and the Riverside Whitecross School of Nursing. On a road trip to California to attend the 1971 Rose Bowl featuring the Ohio State Buckeyes, Sue visited the Officer's Club at Williams Air Force Base in Arizona, and was introduced to Richard Swanson. The two of them began to date, and later Sue and Rich married on April 28, 1973, in Beaverton, Oregon. Sue was a longtime resident of Southeast Portland where she and Rich raised their family. The family characterizes her as "a dedicated mother, wife, and friend; many of her children's friends referred to her as a 'second mother', and she was known for offering warm, welcoming hugs." Sue's family commitment extended beyond her immediate family. She played an active role in her nieces, nephews, and grandchildren's lives, and always found joy in her interactions with them. During family gatherings, while the adults remained at the meal table engaged in conversation, Sue would often be found with the children playing games and doing puzzles. Her professional endeavors included being a registered nurse, a chocolatier, and a realtor. She was an active member of her community in a variety of roles. At Trinity United Methodist Church, she helped establish the "Backpack Buddy" food program, which provides food to under-served children at neighborhood elementary schools. She also found time to serve as President of the Brooklyn Pre-School, President of Grout Elementary PTA, and in many other volunteer capacities involving her children's activities. She and Rich continued to support their children in all their activities at Cleveland High School. Sue is survived by her husband Richard; her daughter Ceri Cundiff (Mike); son Evan (Tina), three grandchildren; her brother Tom Clark; stepmother Margaret Miskimen, and half-sister Marjorie Gerczak. She was predeceased by her parents, her brother Ed, and her sister Carolyn Temes. 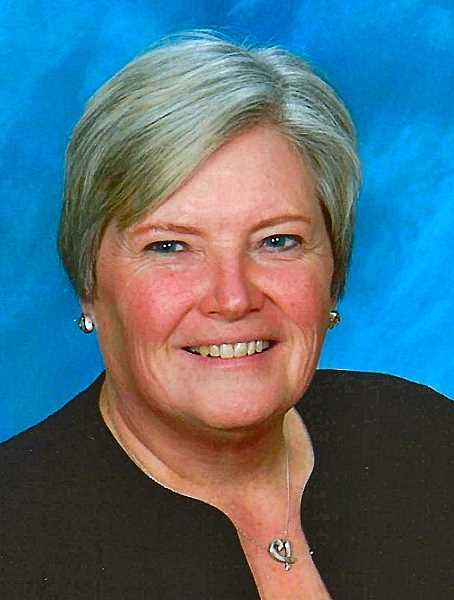 In lieu of flowers, contributions in Sue's honor can be made to the "Backpack Buddy Program" at Trinity United Methodist Church (mail a check payable to Trinity United Methodist Church, with "Backpack Buddy Program" in memo line). The family wants to thank the ALS Association, and the many friends who visited and helped care for Sue during her battle with ALS. The family is especially grateful to Helen Taylor and her loving care. In tribute to Sue, the family encourages everyone to share a hug in her remembrance.